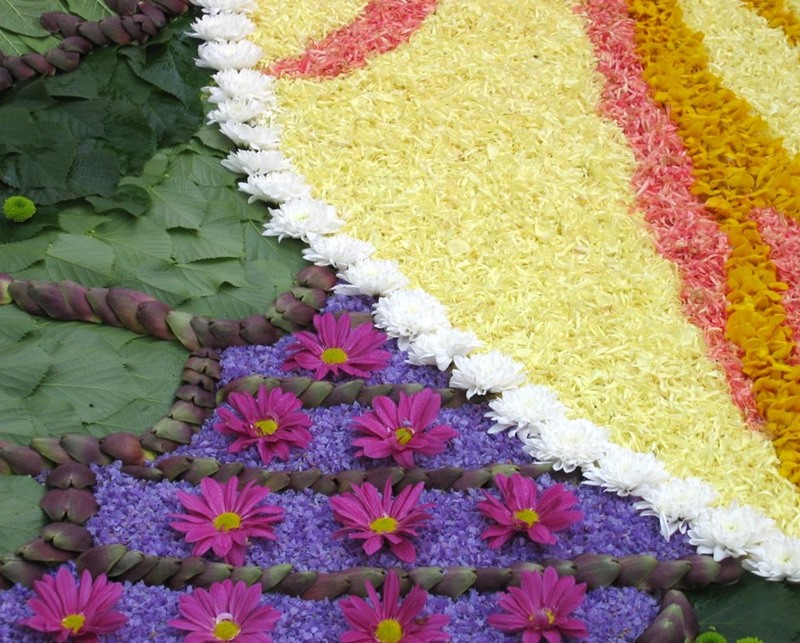 Numerous are the events that animate the town during the year – testimonial of the people’s connection to traditions. 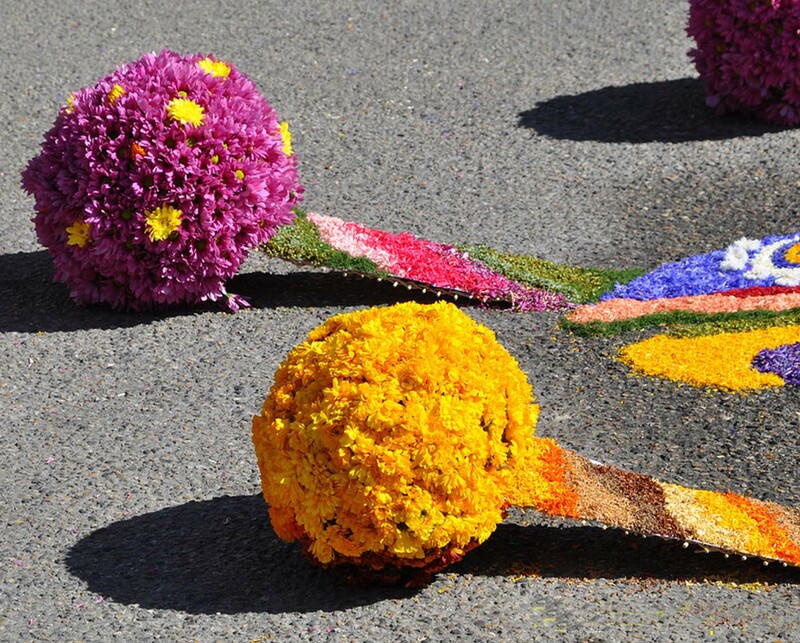 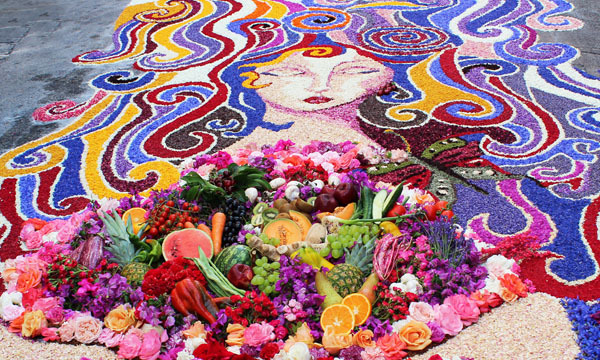 The most famous event is “L’Infiorata” (floral compositions) of the Corpus Domini that has its roots in ancient times. 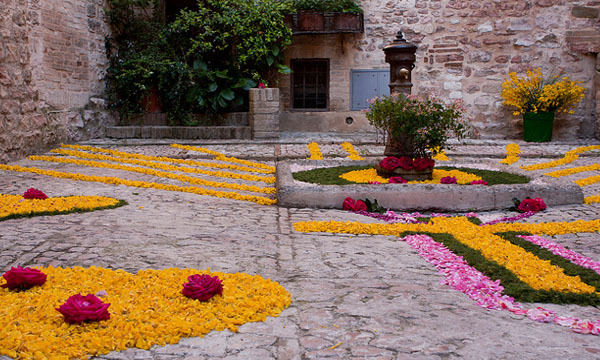 In the marvelous frame of the medieval town of Spello, it is possible to admire the charming scenery that is offered by the roads and alleys covered by floral setups that reproduce figurations and ornamental liturgical patterns. 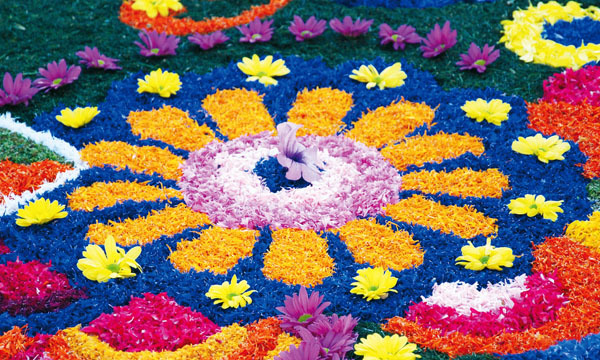 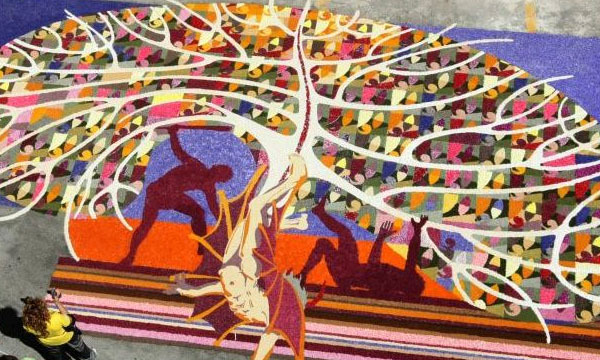 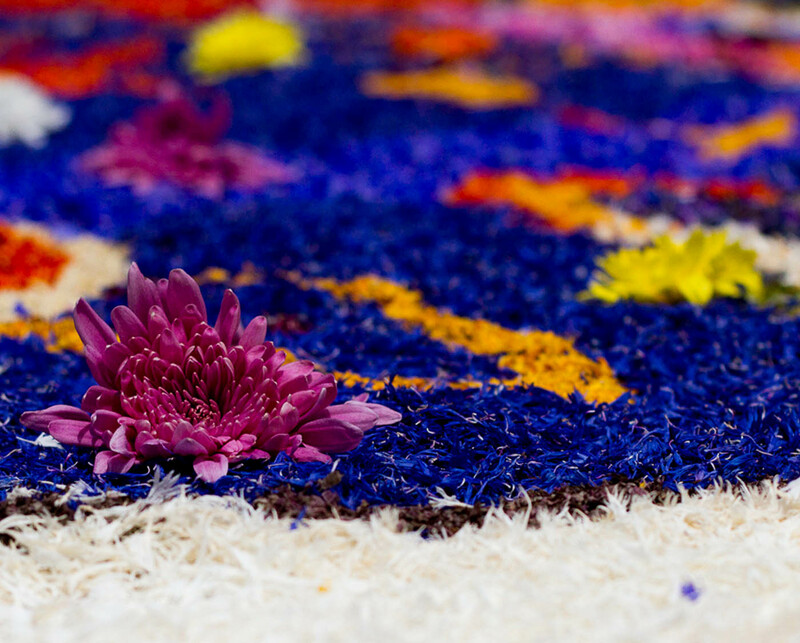 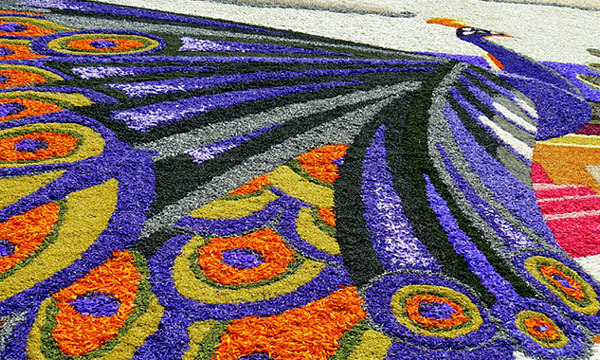 The compositions are very carefully prepared for weeks, though only the evening and the night previous to the “festa” they are arranged as floral carpets, whose scent and unraveling colors create a very suggestive show. 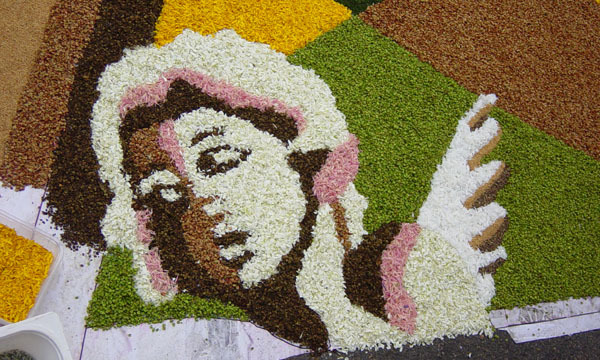 The enchanting fragrance of broom, fennel and daisies that emanates from the artworks marking the Corpus Christi festivities, transforms the night long vigil into a mass celebration, in which the locals, as well as thousands of tourists, wait for the morning sun to reveal the flower artists’ authentic masterpieces. 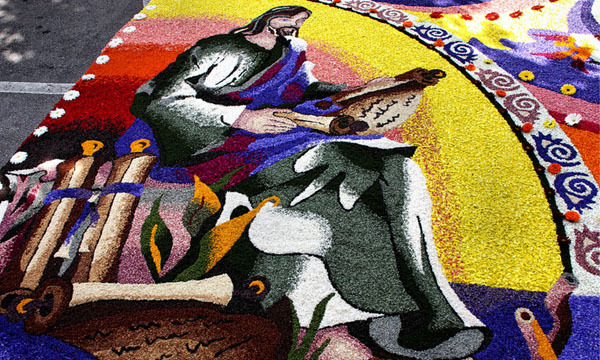 Spello’s floral passione comes to culmination each year with the maginficent flower petal tapestries of the Infiorate for Corpus Domini (60 days after Easter). 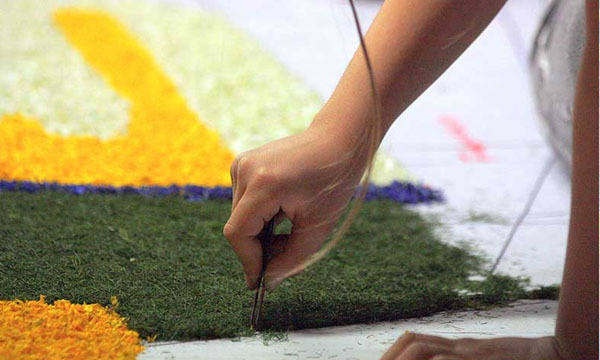 The “infiorate” (floral decorations) are floral compositions connected with religious and natural themes: they require a very careful preparation.